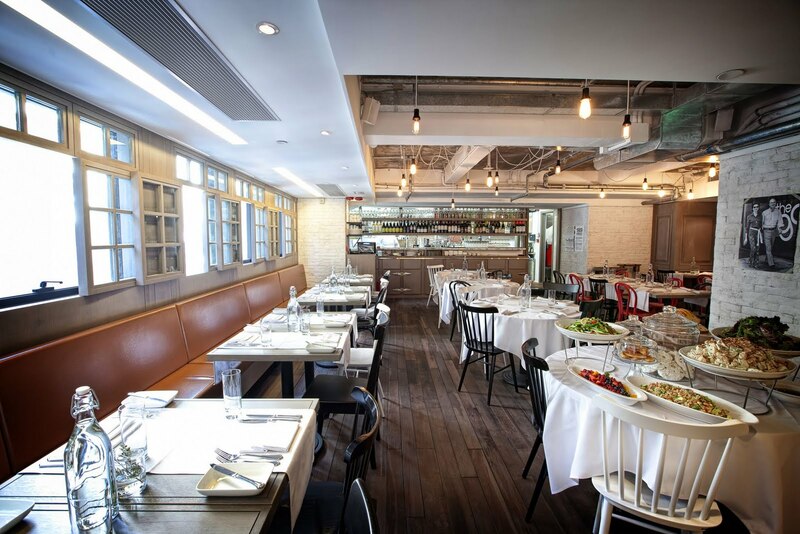 Just A Restaurant, or JAR opened about six months ago and the Lyndhurst Terrace eatery recently expanded its menu. If you've been there before, there's some good reasons to come back or go visit for the first time.It's aiming to be a neighbourhood joint, and it has that potential with its casual simple decor and some tempting items on the menu. To start, if you're a cheese fan, there's a list of artisanal cheeses and charcuterie on the menu and you can have a selection as you eat your meal, or as an afternoon snack to accompany drinks. We tried a range of soft to semi-hard cheeses as well as ox tongue that was quite good, and came with horse radish, honey mustard and pickled vegetables. 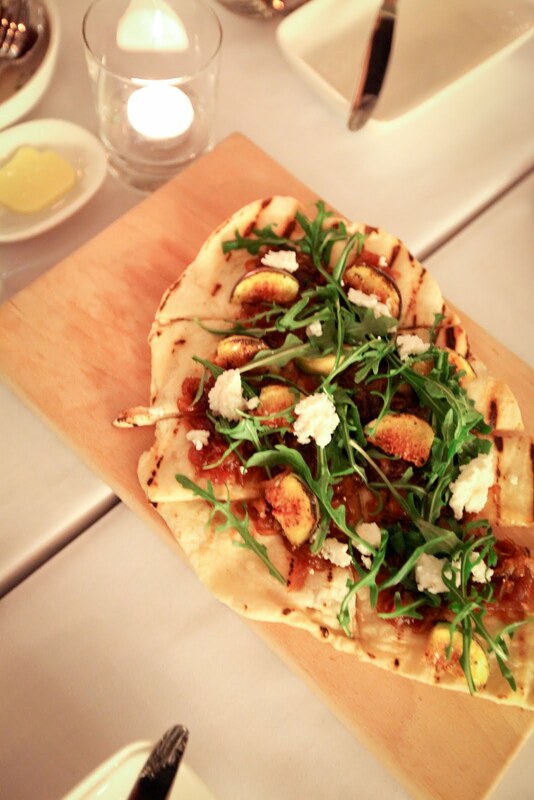 The place is also known for its flatbreads, and one of the best sellers is the one with caramelized figs, arugula and chevre (HK$98) which is a good combination but would be better with more chevre on it. A straight-forward salad is the one with baby spinach, buffalo mozzarella, blueberries and almonds (HK$92). It refreshing with layers of textures from the crunch sliced almonds to the soft cheese, but seemed overpriced for a simple salad. Though it sounds intriguing, the bone marrow roasted with escargots inside (HK$88) is a strange combination and sadly doesn't work well here as the marrow doesn't have much flavour leaving the escargots to be quite tasteless too. Another dish that needs tweaking is the monkfish cheeks and seafood (HK$250) that was pretty much overcooked save for the sweet clams which was a pity. Everything, from the fish cheeks to the scallops and prawn were overdone in a dish where timing is everything. However, all was not lost. The wagyu beef cheek (HK$285) is apparently cooked for 48 hours and comes with baby turnips, carrots and pearl onions. The beef was almost melt-in-your-mouth and was full of flavour, tender and delicious. For dessert JAR has added some new items. There's the cold apple tart (HK$60) which comes with a green apple sorbet, but we much prefer our apple tart heated up. Nevertheless, for a strong finish, cookies n mint cream (HK$50) might do the trick. Served in a glass container complete with a small sprig of mint on top, it has layers of crushed Oreo, mint cream, chocolate ganache and chocolate sponge cake. If you like After Eights or mint chocolate, this treat is for you.